Book Description: The Working Group Guide is a resource for librarians, staff, and faculty who support or are supporting open education at their institution and are starting or running an open working group. This resource contains three sections to help users establish, run, and sustain a working group. The Working Group Guide is a resource for librarians, staff, and faculty who support or are supporting open education at their institution and are starting or running an open working group. The process of creating this resource involved gathering examples from post-secondary institutions, curating other available resources, and condensing them into a short, usable resource. This resource contains three sections to help users establish, run, and sustain a working group. Working Group Guide by Lucas Wright and Krista Lambert is licensed under a Creative Commons Attribution 4.0 International License, except where otherwise noted. 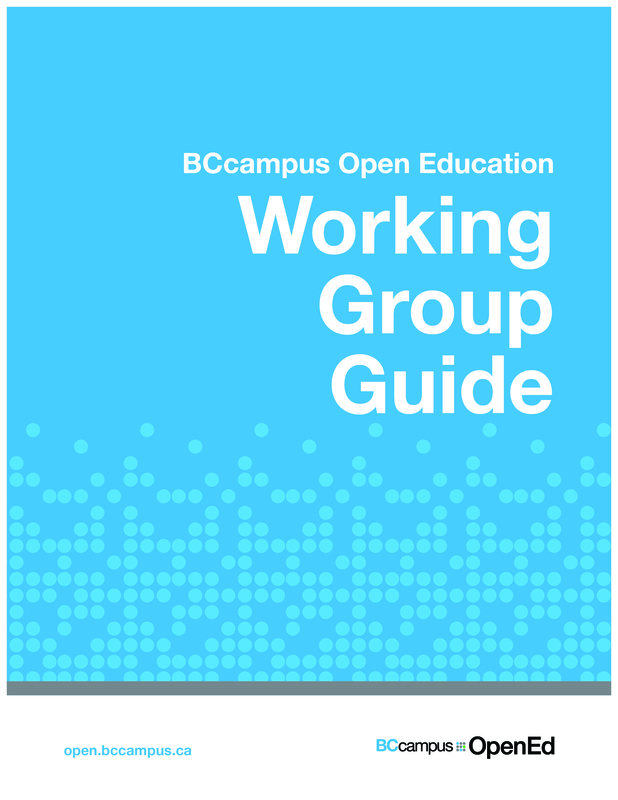 The BCcampus Open Education Working Group Guide by Lucas Wright and Krista Lambert is used under a CC BY 4.0 International Licence. Wright, Lucas and Krista Lambert. (2019). Working Group Guide. Victoria, B.C. : BCcampus. Retrieved from https://opentextbc.ca/workinggroupguide/.